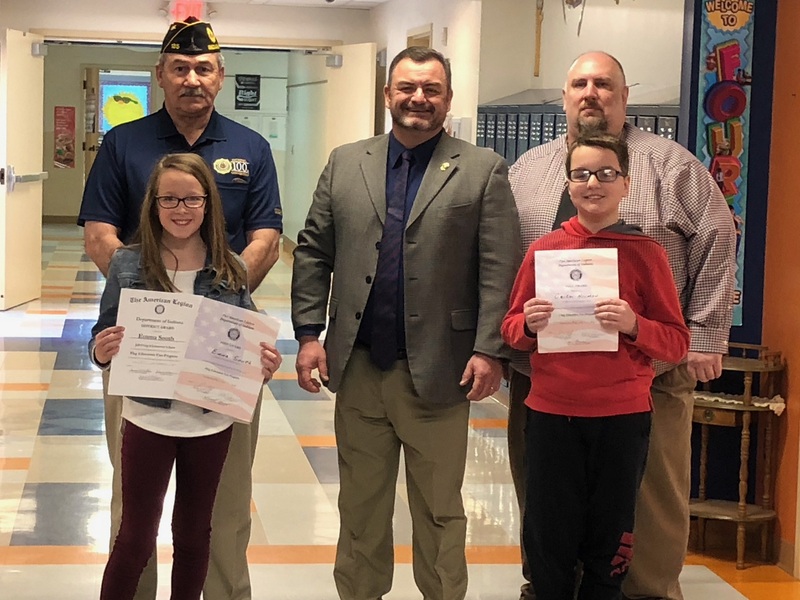 Congratulations to the winners of the American Legion Flag Day Essay contest at Jefferson Craig elementary, Emma South and Carter Hinman. The essay topic was "How can students help homeless veterans." Both students received a certificate of recognition and a check for $50.00 from The American Legion as a reward. Emma not only won for our local American Legion, but she also won for the 9th District. She got an addition $100 for that! Make sure to tell these two  what a great job they did if you see them!